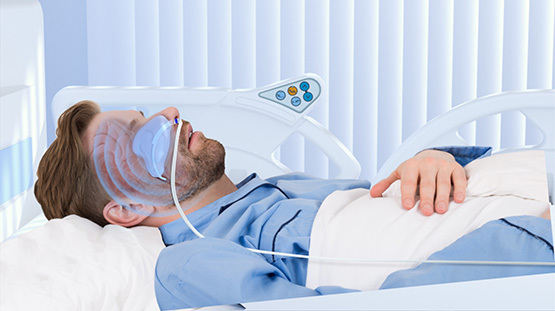 The medical technology company QuickCool is developing a portable system for cooling patients with cardiac arrest and other serious medical conditions. As a project partner, Prevas has taken care of the software, documentation and quality assurance system. The product launch is planned during the year. With offices and lab facilities at the Ideon Science Park in Lund, QuickCool is a cooling system in which a salt solution circulates in a closed system in the patients nostrils. Measurement points on the incoming and outgoing liquid are continuously monitored, and cooling is regulated to keep the temperature at 36 degrees Celsius. 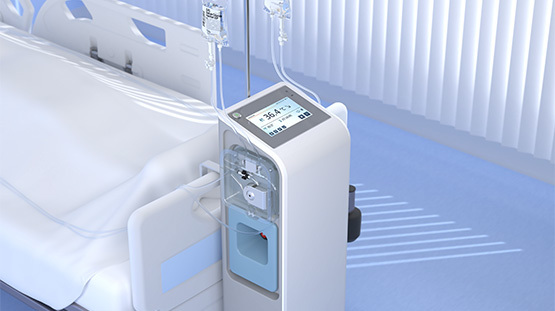 The system is portable and the treatment can be provided by nurses without special training. Throughout history there have been documented cases indicating that cooling increases survival rates in the event of serious injuries. “A doctor who served at the Battle of Lund in 1676 observed that wounded officers carried into warm tents did not do as well as wounded soldiers left out in the cold,” says Fredrik Radencrantz. The positive effects of cooling could be scientifically confirmed after the Second World War. During the 1980s, an extensive research project was conducted under the leadership of Tadeusz Wieloch, professor of neuroscience at Lund University and presently a QuickCool board member. He was able to prove that cooling increases cardiac arrest survival rates – and also reduces complications for survivors. During the 1990s, research was taken further and a conflict arose between those who advised cooling to 33 degrees and those who preferred 36 degrees. In 2013, results of a major European study on cardiac arrest patients were released that showed that there were no differences in clinical effect for cooling to 33 degrees versus 36 degrees. However, the study indicated the importance of maintaining a constant temperature. Fredrik Radencrantz became the CEO for QuickCool in April of 2017 and was charged with launching the company's product. As it turned out, the system at that stage was not even close to being ready for the market. At this point, Fredrik Radencrantz decided to meet with Prevas for a second opinion on the situation. After a preliminary study that encompassed among other things, an evaluation of the existing code, QuickCool decided to redo the software. They also broke off collaboration with their previous development partner. As development continued of QuickCool's system, Prevas could contribute with skills in among other things, project development and software development, as well as testing and validation. Prevas has also helped with updating and maintaining their quality assurance system, and has been involved in the external audit in accordance with ISO 13485:2016. There are many suppliers that develop software, but to work in the development of life science products and solutions, there are stringent regulatory requirements. With many years of experience in life science, Prevas has branded itself as a skilled development partner that can handle these requirements. QuickCool is now leaving the development phase and moving towards approval and then on to production. As soon as CE-labeling is finished, the product will be initially launched on the European market. Work is also underway with complying with the more complex regulations that apply in the US, China, India and Brazil, for example. The most common involves placing plates along the chest, back and thighs, and then connecting a cooling system. Cooling goes quickly but the problem is in the difficulty of maintaining an even body temperature. Moreover, the patient begins shivering at about 35.5 degrees. The body shivers to generate heat, which counteracts the cooling effect. An alternative solution is to insert a catheter into the femoral vein in the thigh. A small balloon is used to cool the blood that passes on the way to the brain. Cooling goes quickly but a doctor is needed to make the incision for the catheter. It is also time-consuming and entails a risk of infection. QuickCool cools with a third method in which a salt solution circulates in two balloon catheters that are inserted into the patient's nostrils. 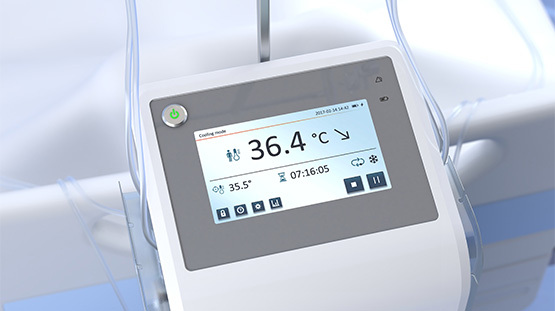 The body temperature is monitored with measurement points on the incoming and outgoing fluid, which enables a stable temperature to be maintained. QuickCool's system is portable and easy to use. Do you want to know more about this project or find out what Prevas can do for you, please contact us.